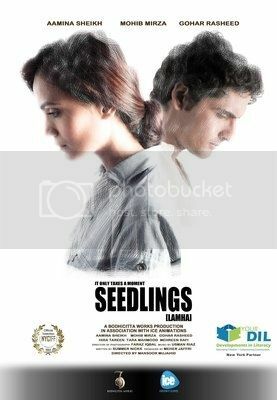 Lamha (Seedlings), a worthy portrayal of a couple confronting unsmooth matrimonial relationship after the death of their only child, character of Maliha and Raza played by Mohib Mirza and Aamina Sheikh. The story of Lamha revolves around a happy couple whose lives are changed forever after a devastating accident leaves them reeling for stability. Sheikh and Mirza, the lead actors, have been heaped with generous accolades for the way they have depicted their painful journey. A happy couple’s lives are changed forever after a devastating accident leaves them in the unbearable situation of nurturing the possibility of stability again. The circumstances surrounding a tragedy leaves a once perfect couple besieged with unanswered questions, leading them to re-evaluate their own beliefs and sanity, and ultimately each other.